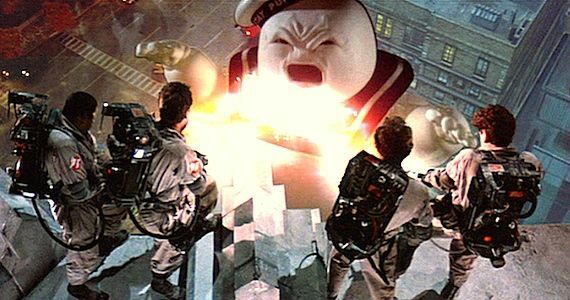 I think we can all agree that ‘Ghostbusters‘ is one of the best films ever made. And I hate to say it, but it’s a 30-year old movie, which makes me very old. So, for the 30th anniversary, the movie studio is re-releasing the film in theaters for a limited time, starting August 29th. Now if you haven’t seen ‘Ghostbusters‘ in the theater, it is mandatory that you do so. And even if you have, it’s probably been a long while, so best make sure you get to your local theater and see it again. This entry was posted on Tuesday, July 15th, 2014 at 11:48 pm	and is filed under Film, News. You can follow any responses to this entry through the RSS 2.0 feed. You can skip to the end and leave a response. Pinging is currently not allowed. « ‘American Psycho’ The Musical, Coming to New York!! !